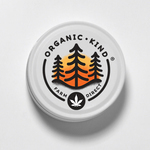 Organic Kind - Los Feliz is a Los Angeles leading supplier of cannabinoid medicines. The company puts customers as its top priority and does everything possible to provide them with high-grade products. All the medical marijuana flowers are organically grown and thoroughly tested for mildew and pesticides. To guarantee the excellent quality of medications, the company deals only with credible and well-established farms. The shelves are filled with various grades of Sativa, Indica, and Hybrid strains. What is more, various edibles and tinctures, was and concentrates, fear and prerolls are presented at Organic Kind as well. In case any doubts, the friendly and knowledgeable personnel will assist you on the matter of choosing the proper medicine. Right after an order is placed, it will be carefully checked and delivered right to your door. Check out the company's offers to find some special deals.